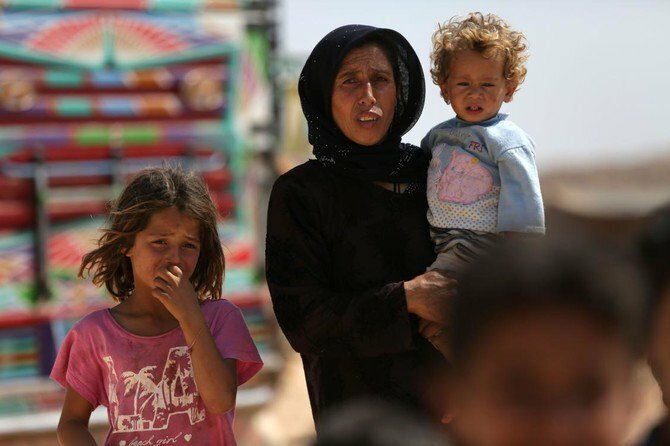 KHAN SHAYKHUN, (DNA) – Violence in northwest Syria has displaced more than 30,000 people this month alone, the United Nations said Monday, warning that a looming assault could create the century’s “worst humanitarian catastrophe”. “We’re deeply concerned about this recent escalation of violence, which has resulted in the displacement of over 30,000 in the area. That’s something we’re monitoring very closely,” OCHA spokesman David Swanson told. Idlib has seen dozens of displaced families head towards the frontier in recent days to escape bombing elsewhere. Idlib is mostly controlled by Hayat Tahrir al-Sham (HTS) — an alliance spearheaded by powerful extremists once linked to Al-Qaeda.